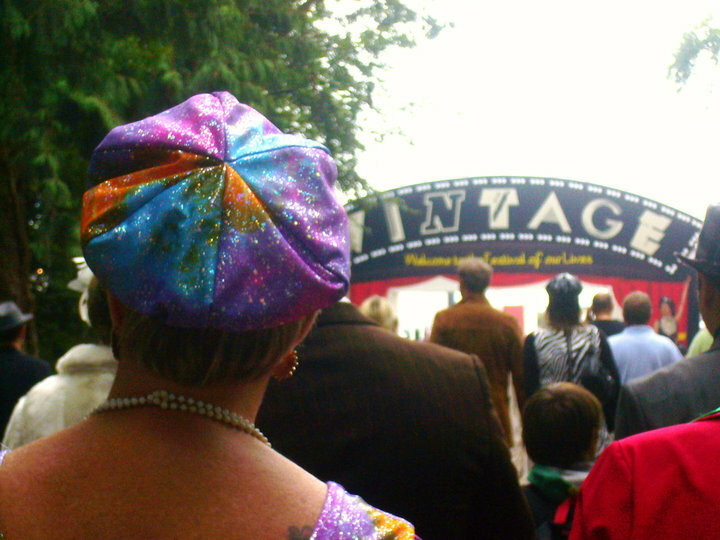 ...clearly hadn't been to Goodwood's vintage festival. 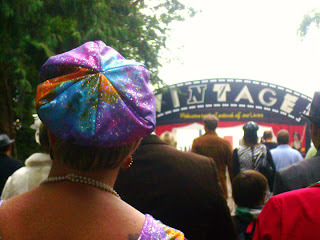 Me and Maria were lucky enough to be invited along to this celebration of all things retro by the lovely ladies at Aussie and I have to say it only increased my love of vintage fashion, music and attitude. Maybe such a vast amount of vintageness isn't to everyone's taste, but I think I can speak for all of the group in saying we were all truly inspired by some of the wonderful outfits, hair, and confidence that went with them! Hehee, bless the conductor in his dapper uniform! After getting a little over-excited about our super-cool wristbands [hologramic vintage watches dontchya know] we made our way through a fairy-lit forest to the entrance where, already having been set a task of spotting some fabulous hairstyles, we realised we'd have little problem finding some very glamorous hair-do's and outfits; there were afro's and bell-bottoms everywhere! See if you can spot the guy in matching red flares and jacket below... amazing! 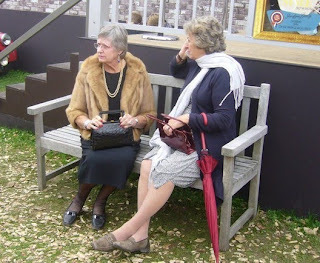 This festival was great as it encompassed fashion, cars, music, food and whilst one minute you'd be rushing past an enviably stylish 8 year old, you'd quickly stumble upon a group of older ladies nattering away in their finest outfits- twas a truly eclectic mix. After having a quick wander down the high street our stomachs decided it was lunch, and what better way to spend an hour than with Pimms, pasties and pictures! It was lovely to catch up with the Aussie girls, and have a good old chinwag with our fellow bloggers Lil and Jenny - check out their blogs for more on the day! Aaand it has pockets... for some reason, to me, this is an added bonus in skirts/dresses. Not that I use pockets...ever. But knowing they're there is somewhat reassuring; weird. Maria bought a beautiful pink coat which I'm sure she'll be posting about soon enough - they were both bargains! Sadly, we had to rush off after this to get our trains home, and we missed a visit to the torch club which was apparently fantastic - I vow to visit this place again next year and get the full experience. 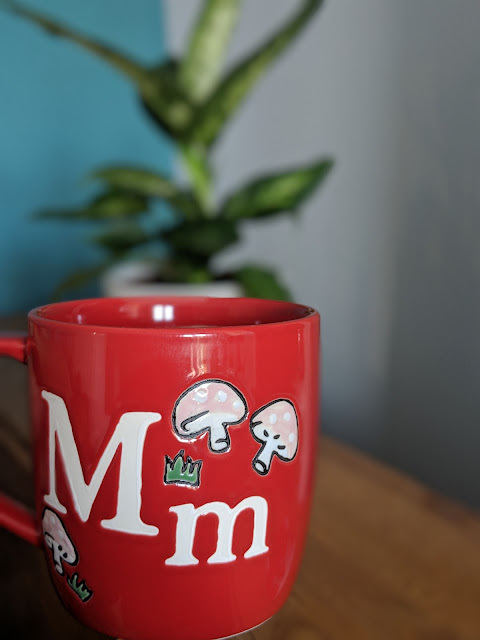 I'm off for a BBQ now, and then it's childminding again tomorrow but i promise I'll be posting some yummy hair pictures up sometime this week; from the sleek and classy to weird and wacky so keep a look out! This looks like such a fun day! I'd love to go to this festival! Aussie Yummy hair days are definitely a lot of fun! And I really love your skirt. Can't wait to see all the great hair. Chantele - you definitely have to go..it's worth it! Leia - yep; all in all a fab day, maybe we should have a huge blogger gathering there next year?! looks like such a fab day! i love skirts with pockets too, they're so handy. they also give your hands a place to go when you're feeling awkward! Helen- yes! Pockets are a life saver in awkward situations.